Gluten-free is definitely trending--and for good reason. Of course there are some people who simply can’t have gluten, but there are also many who are realizing that eating less gluten and carbs helps them feel and look their best. Now, I am not one of those people who can imagine life without bread and pasta, and luckily I don’t have to, but that doesn’t mean I don’t like to cut down a little when I can. But a sandwich needs bread! Or does it?! If you’re going to put cucumbers on your sandwich anyway, you might as well flip it all around and make the cucumbers the bread! 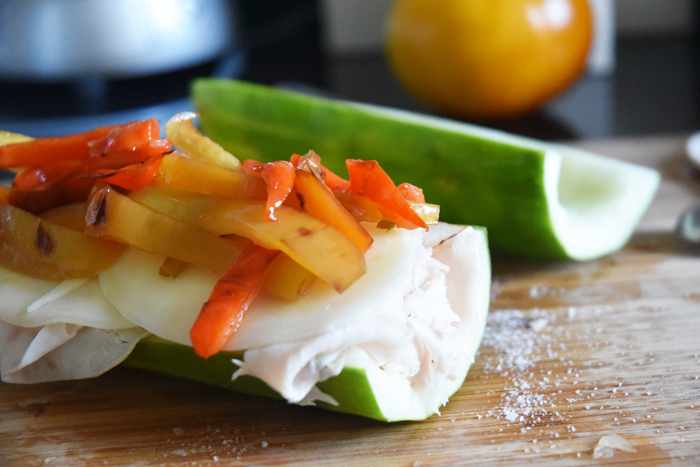 It takes about a second to transform a cucumber into the perfect vessel for your favorite sandwich fillings. 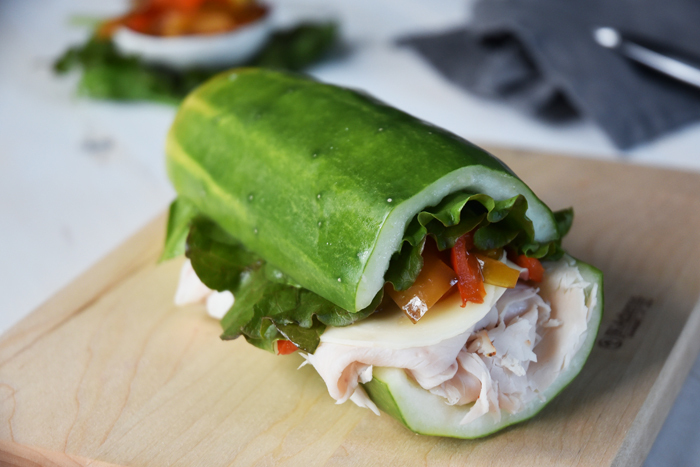 And it’s sturdy enough to last in your lunch box--no soggy or smooshed bread! Heat the oil in a small skillet over medium heat. 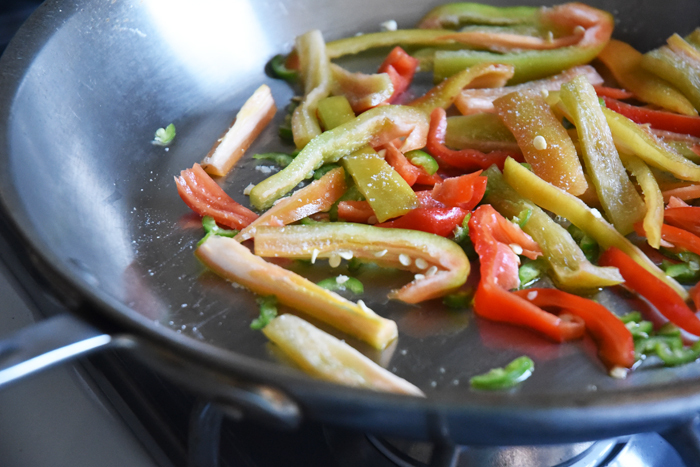 Add the peppers and ½ teaspoon of the salt and cook until very tender, 7 to 10 minutes. Add the vinegar and cook another 2 minutes. Remove from the heat and let cool completely. 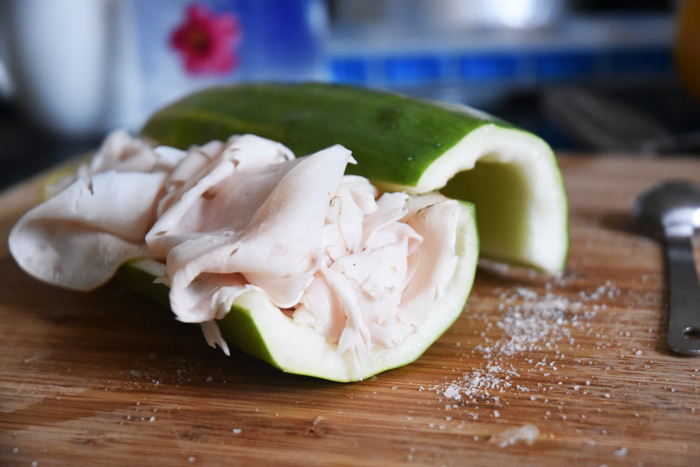 Cut the cucumber in half lengthwise and scrape out the seeds along with some of the flesh to make room for the filling. 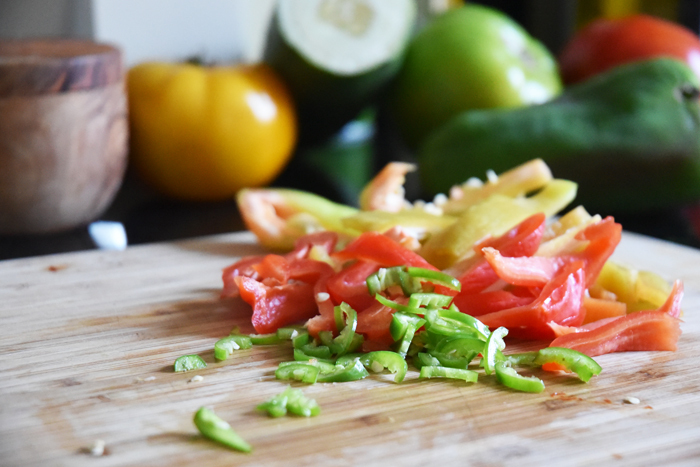 Sprinkle the inside of the cucumber with the remaining ¼ teaspoon of the salt. 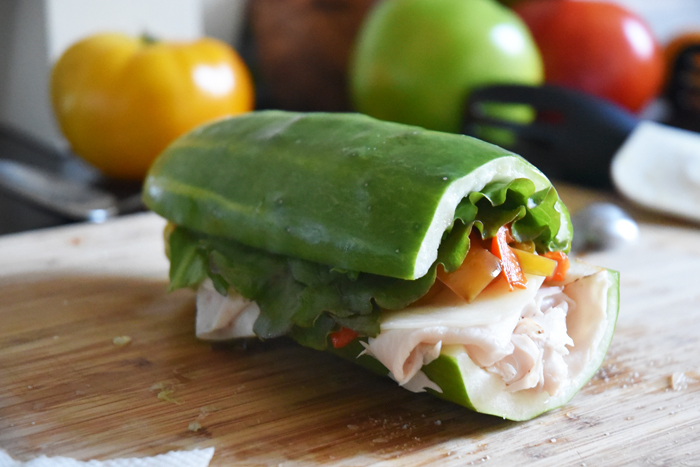 To assemble the subs, layer the turkey into the hollowed out insides of the cucumber, then top with the provolone cheese, the peppers, and finally the lettuce. Don’t be afraid to overstuff—this is key; as you eat the sub, the filling will condense and you don’t want to feel like you’re eating all cucumber. 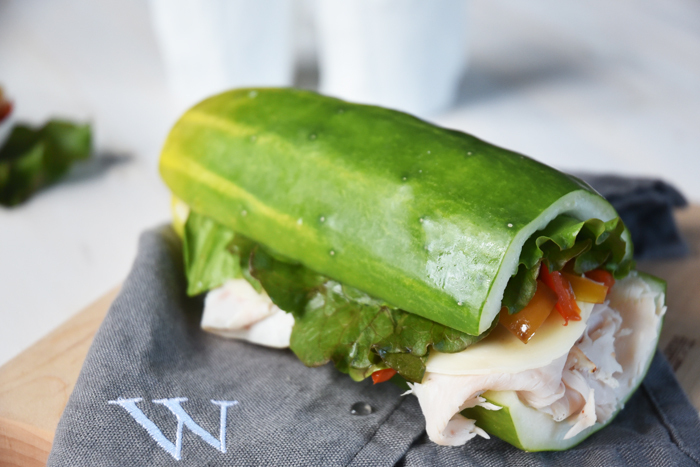 Place the top part of the cucumber over the lettuce and cut the sub in half. 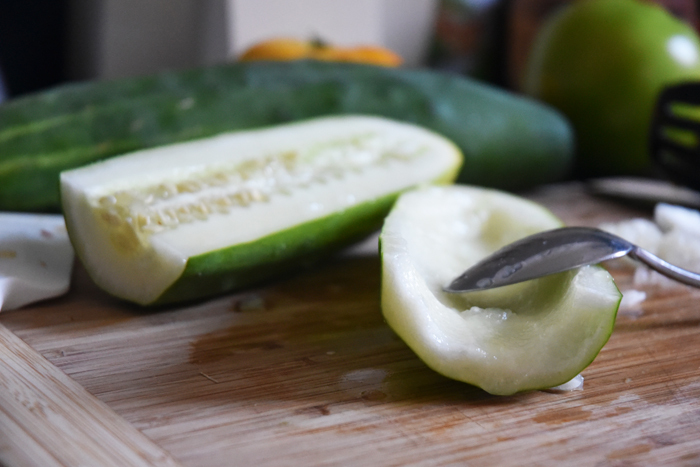 When you are scooping out the insides of the cucumbers be sure to scoop out a bit extra—more than just the seeds. And remember, the more you scoop out, the more filling you will be able to fit in there!